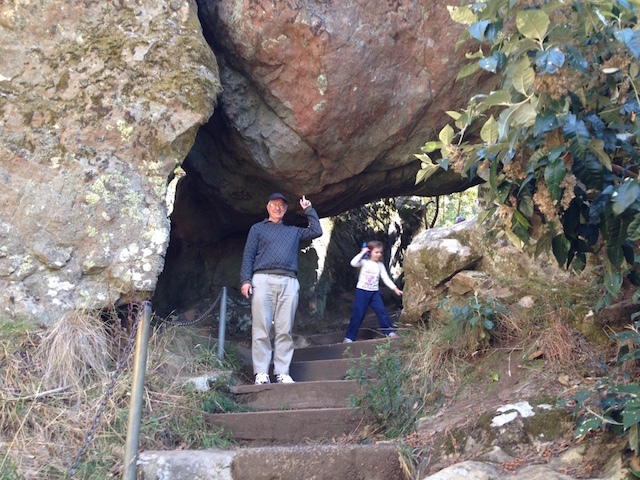 During my recent visit to Victoria, I finally made my long awaited trip to the famed Hanging Rock in the Macedon Ranges, an hour’s drive north of Melbourne. 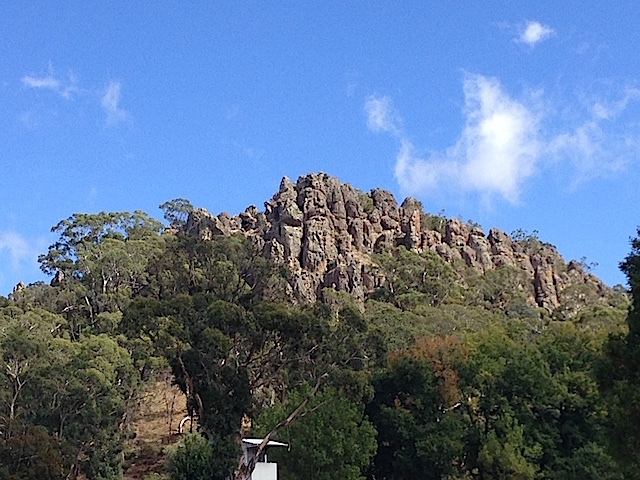 Often, unrequited expectation can lead to disappointment, but 40 years after seeing Peter Weir’s famous film “Picnic at Hanging Rock” the place still excited me. Our visit coincided with the monthly country markets, which made the car park very crowded, even utilizing the racetrack whose first race meeting was held on New Year’s Day in 1877 and which is still being used for three meetings a year.